My latest for Motorsport Week, inevitably, is about the halo. It's lingered for a while; been resisted at least once. But the FIA confirmed in the week that it's happening. Next year's F1 cars will feature them. Few seem happy with this, and while I can understand to some extent how we've got here, there remains on this plenty we can question the FIA about. 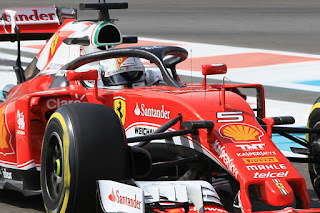 Not least why after years of cockpit protection investigation the halo is the only show in town? And more broadly, why don't we go the whole hog and enclose the cockpit, rather than wrestle with halfway house solutions?